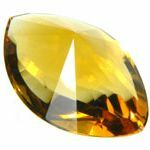 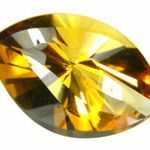 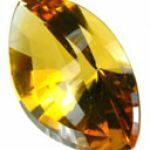 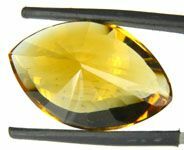 Often times, one encounters Citrine gems on the market that were heated to turn them yellow. 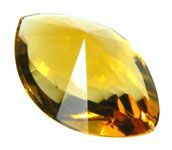 Typically these stones start out as natural Amethyst and are altered to create the yellow color. 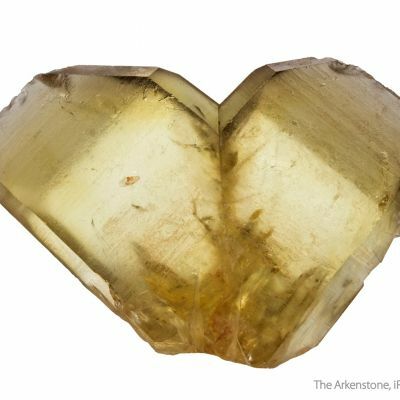 This stone is more than likely a heated gem that was once Amethyst. 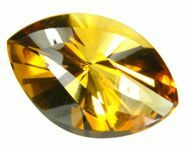 With that said, this stone is very good size, with great color saturation and unique cutting. 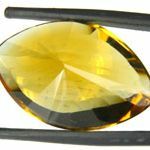 It is virtually eye clean with a "Modified Marquise Twist Top" cut.